Just shoot me now...I can't afford to tank up! I don't mean to sound rude, but English petrol prices are far far worse than American prices at the moment, we are currently paying 1.20 per litre (about 12 dollars to the gallon) of standard petrol and 1.30 (about 13-14 dollars per gallon) for high octane petrol. I have read in the papers recently that most of this is tax, but even still, with our almost 200 (450 dollars) a year road tax, and servicing (160 dollars) costs (especially mechanical labour, 30 (65 dollars)pounds an hour average) running a car here is almost impossible. Is there any possible way to do this in England? would I really be able to realistically do this myself, or am I better of waiting a while for it to hit mainstream car dealers? Ive seen a couple on Ebay for sale, but what about insurance? I desperately need something! I'm even considering going back to a moped if things don't get any better. 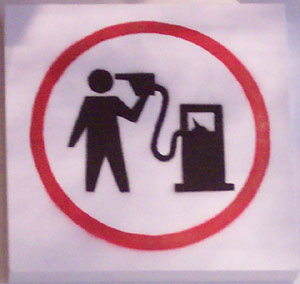 I don't think the petrol prices are going to come down any time soon. Here in the US, electric cars are often exempt from the mandatory insurance requirement. Have you checked to see if that's true in the UK as well? Couple of links for you: EV-UK, an electric car association in the UK, and Alternative Vehicles Technology, a conversion company that might be able to give you some information closer to home.